The way companies listen and react to customers through social channels is crucial for businesses today. Social data is raw, real, uniquely insightful and the most authentic representative that marketers have seen in many years. Companies have the opportunity to take rich data and truly learn, understand and engage customers better than they ever have before. 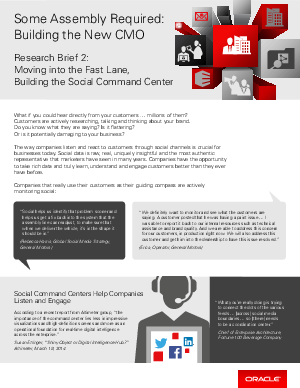 Hear how companies like General Motors are using Social Command Centers to improve their customer experience interactions and drive product innovations.